What's that, you ask? Annualization is the process, in high schools at least, of changing January grades to reflect June grades. We have two semesters, and students get one credit for each. In our school, if you give a grade of 55 in January, and a passing grade in June, the January grade converts to 65. The student gets credit for the entire year. I'm sure we're not the only school that does that. This year, Carmen "It's a Beautiful Day" Fariña decided that this was no good and had to go. How horrible to grant a full year of credit to high school students simply because they were passing the class at the end of the year. It's an abomination, evidently. So next year we can't do that anymore. Maybe it's not fair to the students who do well in the beginning but screw up in the end. Or maybe it encourages students to ignore the first half and aim for the second. To me, we were doing the right thing. I mean, we always read about how this percentage of kids is ready for that, or how that percentage of kids is ready for this. And always, whatever percentage is ready for whatever, we're at fault because it should have been higher. Or lower. Or different. But hey, I'm the teacher, and my judgment ought to count for something. Under this system, if I give a kid a 55, I'm saying I think the kid can pass for the year. I'm not issuing a guarantee, but I'm telling the world that it's possible. In fact, I might even tell the kid that. Don't they want us to encourage kids to improve? Isn't that kind of our job? This is a lot different from sitting the kid in front of a computer and having his smart girlfriend answer a bunch of questions so he can get credit. This is the teacher saying, in January, I think this kid might pull it out in June. And if the teacher doesn't believe that, the kid gets a 50, fails, and that's it. Of course I'm not Carmen Fariña. I haven't got the ability to determine it's a beautiful day simply because Macy's is open. I require further evidence, like, say, the weather report, or the capacity to drive home in fewer than four hours. But I digress. There has been a lot of nonsense put in place to help students get credit. Ridiculous "blended learning," which entails having kids sit on computers rather than interact with humans or books, has been used to give students credit for, of all things, physical education. I'm not exactly sure how reading passages about basketball and answering a few questions is a substitute for playing basketball, but of course I'm not one of the great minds behind blended learning either. Of course, neither am I a policy maker. I'm just a guy who spends each and every day in the classroom trying to teach. Oddly, I think that makes me the number one most qualified person to decide whether or not my students deserve credit for my course. I'm the one who issues assignments, I'm the one who assesses them, and I'm the one who observes student performance each and every day I go to work. 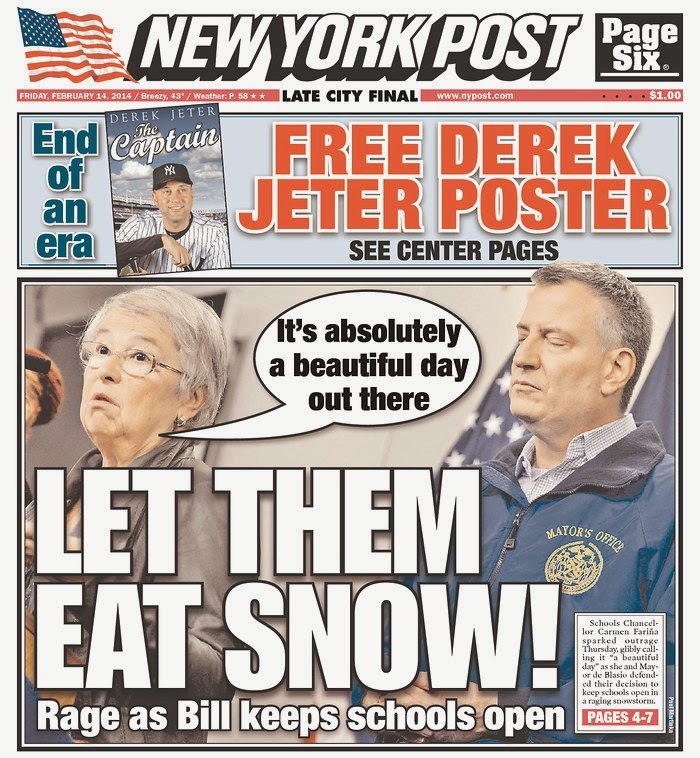 But Carmen Fariña, who sat in an office deciding just how beautiful the days were, was the Schools Chancellor. Who the hell am I to assess the students they hired me to assess when she has a better idea? So starting next year, your students and mine who've mastered the material we've taught will need to go to summer school, night school, or some credit recovery nonsense in order to graduate. And make no mistake--because the city has limited the number of credit recovery courses students can take, fewer will graduate on time. Do you think anyone will blame Carmen Fariña or the incoming mariachi chancellor? Neither do it. As always, working teachers will be stereotyped as having failed children. It's ironic, because a whole lot of us would be fine with simply passing those who've mastered the material. But why ask teachers what they want when there are so many people sitting around air-conditioned offices who are paid many times our salaries and are 100% certain they know better? Adios, Carmen Fariña, and thanks a lot for saddling us with this legacy.